Café Rouge has been a staple in the UK for tourists and locals alike. The franchise was launched initially in Richmond, London, in 1989 by Karen Jones and Roger Myers, foodies on a mission to recreate real French food and wine in a Parisienne bistro style setting. Flash to 2016 and Café Rouge is the go-to hub still going strong, having been made famous from the outset by Renee Zellwegers' character Bridget and her friends in 'Bridget Jones's Diary'. Since then it has been a go-to hub for many tourists who pop off the train in the popular city of York. Firstly, let's review the winning point, location. Situated in the heart of the bustling York eatery precinct of Lower Petergate, the venue does take the cake for prime positioning. With its bright fire engine red exterior it does create a warm inviting environment for those out in the cold, looking for a coffee and croissant escape. The interior incorporate the history and culture of the area around the bistro, by bringing in vintage brick work and mosaic flooring. This leads into wooden flooring and out to the alfresco patio dining area, which is perfect for a warm summer's day. The interior of the eatery also has a private dining area that comes equipped with a fully maned waiter station and the rear patio offers stunning views of the York Minster, an icon of the city. The menu provides a good diverse offering, although Parisian is predominant, there are western options so no visitors will go hungry. 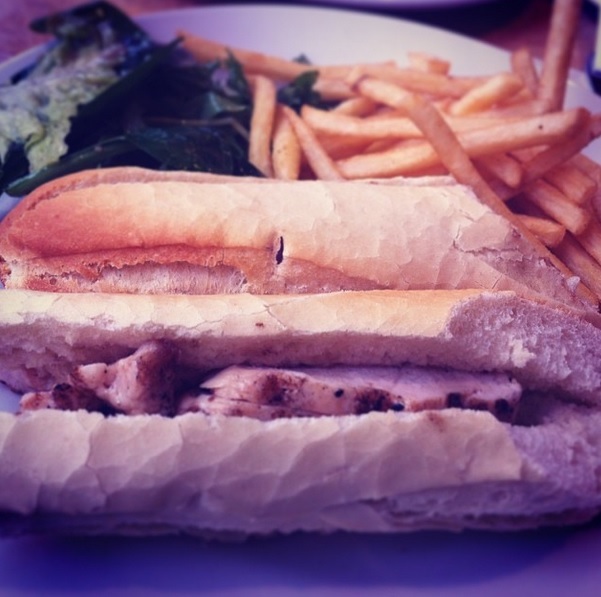 When my partner and I decided to venture to Café Rouge we thought we would be in for a treat. In terms of the entrees this was definitely the case, however with the baguettes, not so much. 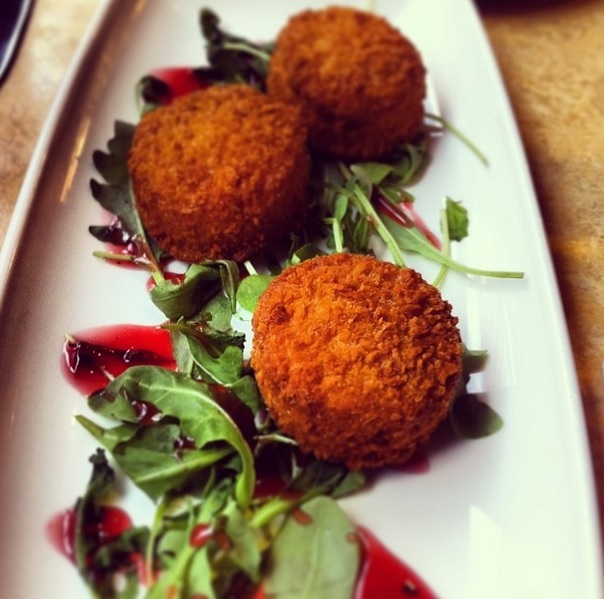 The Camembert item comprised of authentic breadcrumbed cheese with cranberry & redcurrant sauce, was a highlight. Cooked well, and not too oily, the cheese was perfectly paired with the redcurrant sauce. The baguettes were another story. I selected steak option while my partner ordered chicken. 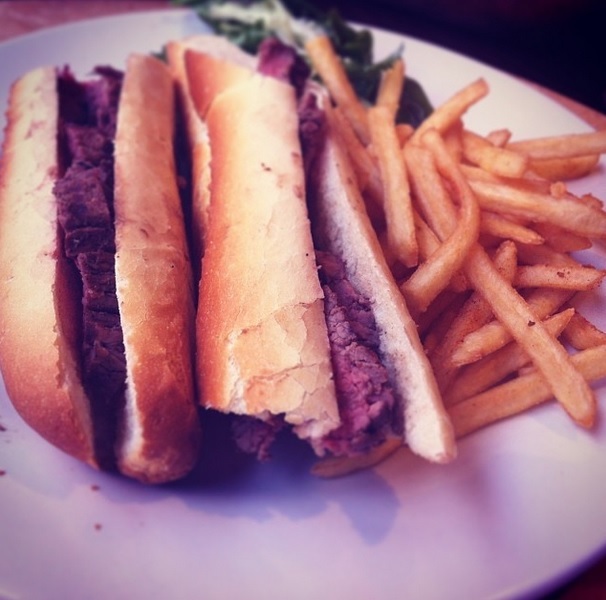 The sliced rump steak was to come out in a soft baguette with red onion, watercress and Dijon mayonnaise. The chicken, on the other hand, was to come out with baby gem and Dijon mayonnaise. Both baguettes, although prompt to come out, severely lacked in adequate condiments leaving them both extremely dry in the mouth. The bread was also a little too crusty, which would have been okay had there been more mayonnaise to moisten the bread and allow the steak/chicken respectively to be digested better. Overall, probably a better option for dinner and not lunch. Or perhaps my best advice is to opt for another menu item.